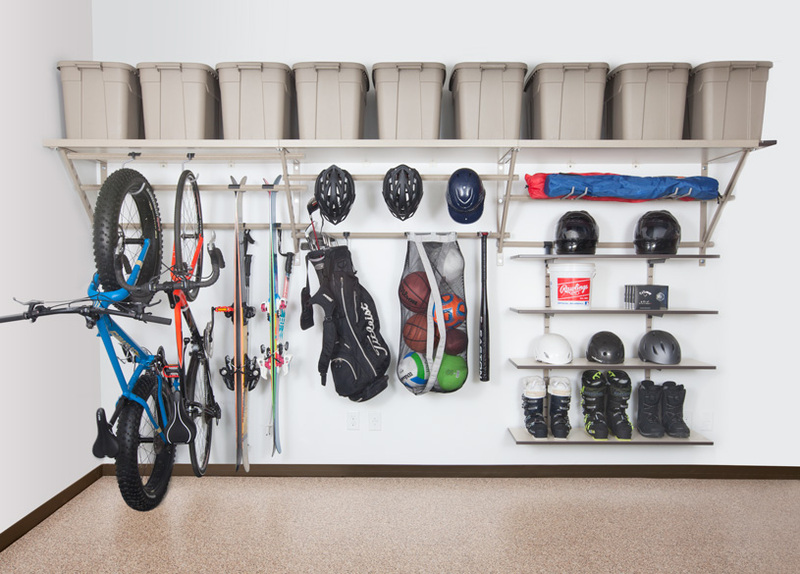 Shelving is the number one necessity in garage storage today. 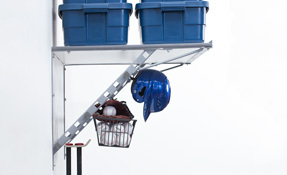 The Monkey Bars shelving system helps you get all those unwanted items off your garage floor and safely stored away. 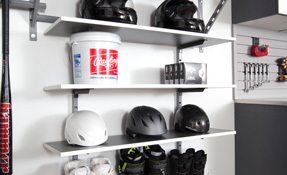 Our user-friendly shelves will be your ultimate solution to your garage shelving in Mesa. Looking to move around a few items? 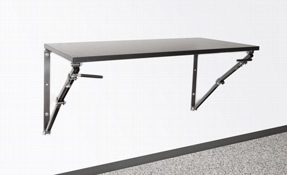 Our shelving system is adjustable for you to rearrange at any given time. 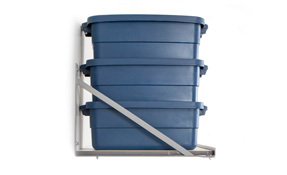 Our shelving system is unique with its different sizes to store those long-term and short-term items. 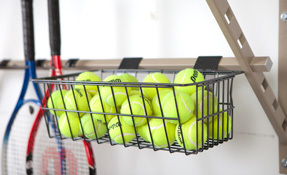 The Monkey Bars shelving system is durable and sturdy, leaving you worry free about your items. Our products are backed by a lifetime warranty. 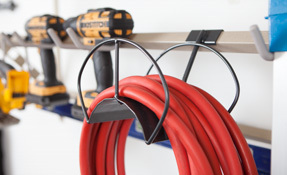 Monkey Bar provides a variety of accessories for garage shelving in Mesa. 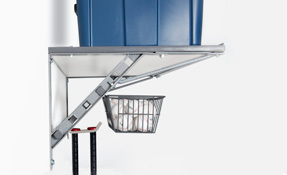 Our shelving racks and hooks are able to withstand large amounts of weight at your convenience. Inverted Shelves: Our inverted shelving system is useful to utilize that extra space over windows and doors. 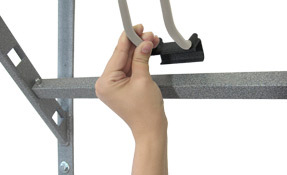 Durable Hooks: Hang almost anything on our sturdy and movable hooks to get all that clutter off the ground. They are tough enough to hold large items like wheelbarrows and weed eaters. Easy Installation: Installation is super quick and simple. Our experts will in a short time make sure that your shelving is soundly installed. 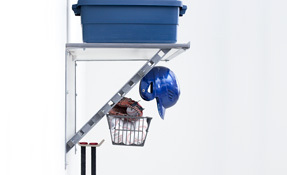 Steel Made: All of our garage shelving in Mesa is made of steel to ensure that durable hold. We are so confident in the durability that a lifetime warranty backs our products. We understand that organizing can get crazy! Well, beat the hassle and let us do all the work. 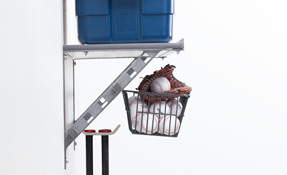 Our shelving system makes it simple, the installation is easy and the upkeep is more than manageable. 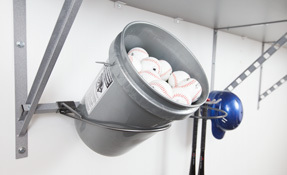 Garage shelving Mesa makes something that used to be difficult, a walk in the park. More Wall Space: Finally use up all that wall space with our efficient shelving system, getting your items off the floor and safely stored. Lifetime Warranty: Our top of the line products leave you at ease with our lifetime guarantee. 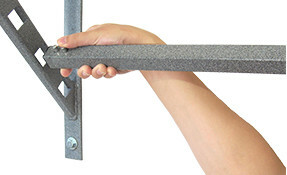 Powder Coated: The Monkey Bars System is powder coated for extra durability. 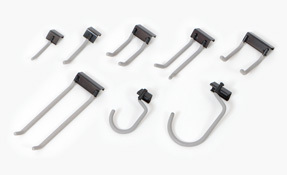 Rubber Coated Hooks: The hooks are coated in rubber to protect the items you hang on them and add an extra grip to your expensive things. Create Space: Things that once cluttered your floor will be now up and off the floor with our revolutionary shelving systems. Nothing provides so much storage in so little space. 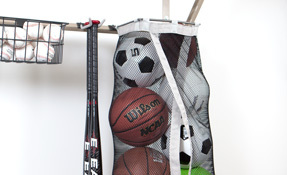 Monkey Bars was engineered specifically as a quality organizing solution for storing typical home items.